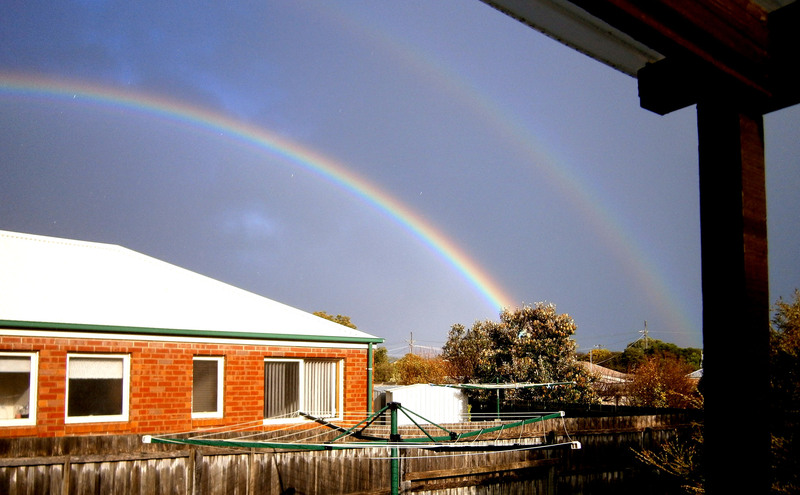 So what do rainbows have to do with the Geelong & District Database? Well, not a lot actually but this double rainbow appeared while I was preparing to upload more records to the database and I thought it looked rather beautiful – isn’t that a good enough reason to include it on this blog? Previous Geelong Advertiser … it’s here! Next Sparrovale or Sparrowvale Farm?